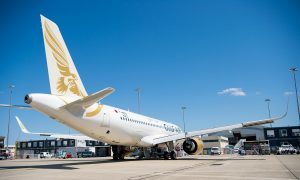 Gulf Air today launched its four weekly direct services to the Russian capital city of Moscow. The launch of this new route is one of the outcomes of the visit of His Majesty King Hamad bin Isa Al Khalifa to the Russian capital Moscow and the preceding visit of His Royal Highness Prince Salman bin Hamad Al Khalifa, Crown Prince, Deputy Supreme Commander and the First Deputy Prime Minister. Onboard the inaugural flight to Moscow, Her Excellency Sh. 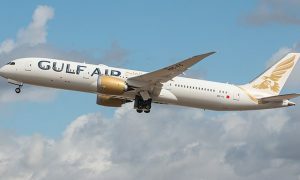 Mai bint Mohammed bin Ebrahim Al Khalifa, Minister of Culture and Her Excellency Mrs. Sameera bint Rajab, Minister of State for Information Affairs were accompanied by Gulf Air’s Acting Chief Executive Officer Mr. Maher Salman Al Musallam and H.E. Mr. Victor Smirnov Russian Ambassador to Bahrain alongside senior members from the airline and regional journalists who were met by Domodedovo International Airport and Russian media representatives upon landing in Moscow. 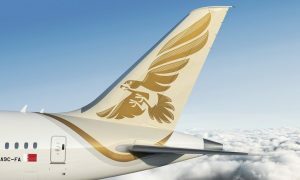 Gulf Air’s direct four weekly Moscow flights will depart from Bahrain on Mondays, Tuesdays, Fridays and Saturdays at 09:00 and will be operated by an Airbus A320 aircraft with 110-seat capacity in a two-class configuration of 14 Falcon Gold flatbed seats and 96 Economy class seats with wide legroom providing maximum comfort inflight.